On the 11th of January 2018 the Secretary-General launched his report “Making Migration Work for All,” which is the Secretary-General’s contribution to the process of developing the Global Compact for Migration, and his vision for constructive international cooperation on migration. The Mary Robinson Foundation – Climate Justice welcomes the Secretary-General’s report, which has a strong focus on the human rights of migrants, including the rights of people displaced by climate change. 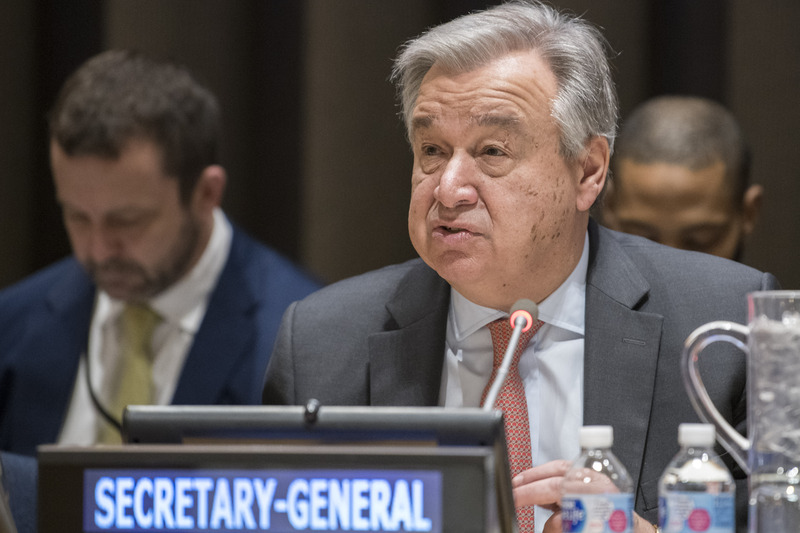 The Secretary-General’s report makes it clear that the international community must address climate change as a driver of migration, both in the immediate and long term. This is a point that has been stressed by the Foundation for the past year, including in the recommendations in our position paper, and the global recognition of these same principles is another step toward securing climate justice for climate displaced people. The Foundation urges all UN member states to work toward a Global Compact that reflects the priorities outlined in the Secretary-General’s report, with a specific focus on the rights of climate displaced people.